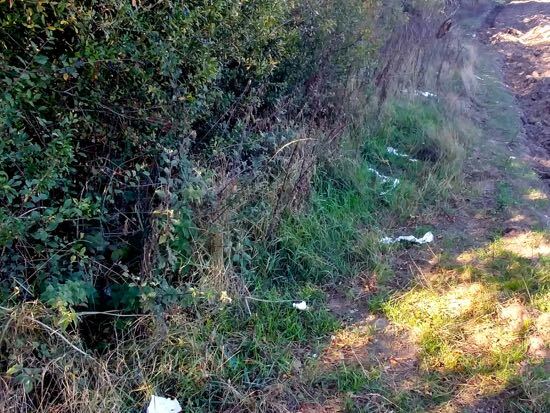 Those walking along the footpath from the Esso garage on the A1000 to Grubbs Lane, are forced to pass by what has become an unofficial public toilet, with human faeces and soiled tissue spread along the hedgerow either side of the public right of way. 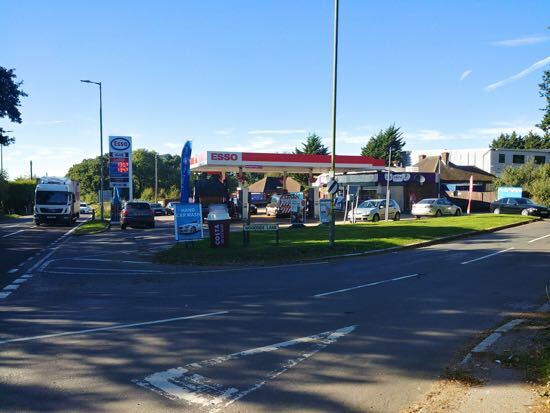 Police officers and representatives from Welwyn Hatfield Borough Council's environmental health department have already investigated the issue once, and have spoken to a number of people working nearby, but the problem continues. 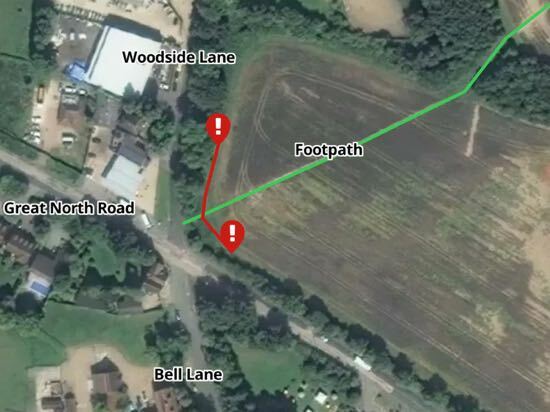 The path, officially known as North Mymms 66, runs from the junction of Woodside Lane and the A1000, the Great North Road (grid ref: TL252054). It cuts through the hedgerow close to the Esso garage, and then continues across fields to Grubbs Lane. The problem confronts walkers as soon as they pass the footpath sign and enter the field. The smell is strong, and the soiled tissues have blown across the path. The footpath is featured on a number of walks on our other site, Hertfordshire Walker, including walks 19, 23, 24, and 73. Local ramblers might want to avoid the footpath until the situation is resolved. 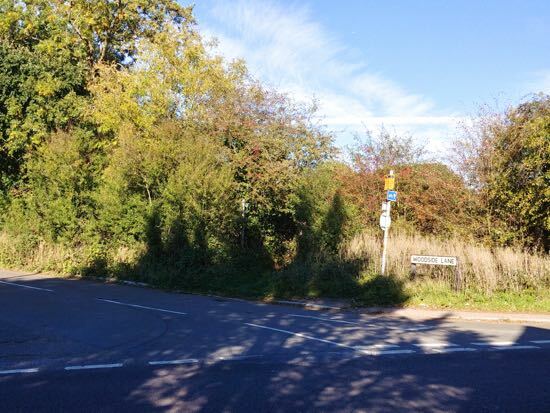 Hertfordshire's countryside and rights of way team has raised the problem in the past, and will do so again after being told by North Mymms News that the issue is ongoing. They forwarded our alert to Hertfordshire Constabulary who, this morning, confirmed that they will revisit the site, try to find those responsible, and speak to them again. If you have any comments on this issue please use the comments box below.